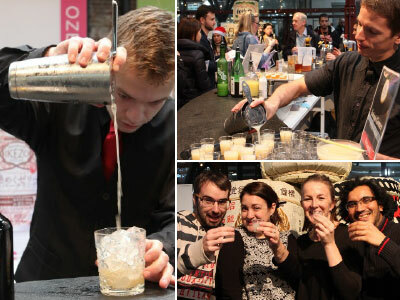 The Sake Cocktail Awards are a rare opportunity for visitors to watch a selection of professional mixologists shake up original cocktails right in front of them over three days, then sample and vote for their favourite cocktail creation to crown a winner at the end of each day. Adding a variety of mixers and ingredients – both familiar and new – to a Japanese sakebase, these original cocktail creations will redefine sake drinking. The 2015 Sake Cocktail Awards weren’t just interested in finding the “best overall” sake but rather the best combination for a particular situation, be it a New Year’s Eve celebration or a pre-theatre drink. Eat-Japan events will require a separate ticket to the standard HYPER JAPAN ticket, available as an add-on option when purchasing HYPER JAPAN tickets.